When the accomplishments of others inspire us to be bigger than ourselves: leadership, inspiration, and determination are the keys to the winner’s circle. For those who enjoy soccer, or football as we say in Europe, the World Cup in June and July of 2018 was the opportunity for cheering, feelings of elation or disappointment, and of course endless comments and conjecture from around the world. Sports can be powerful sources of analogies for our personal and professional lives and inspire us to take new and bold actions. One of the powerful ways sports was used in service of a commitment to a new future, was when Nelson Mandela seized the opportunity of the Rugby World Cup 1995 as a symbol of reconciliation. In the midst of the noise surrounding soccer, however, a wonderful tribute was played to a French woman, Simone Veil, who demonstrated purpose, passion, and grit all her life. July 1st, 2018 was the day France celebrated one of its modern-day leaders; she and her husband were buried in the Panthéon on July 1st 2018, by a decision of President Emmanuel Macron in 2017. 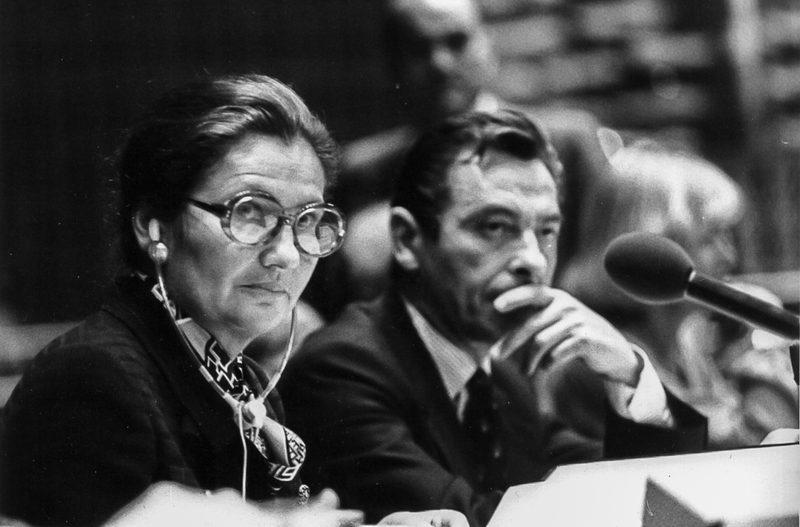 Leadership with purpose: Simone Veil, lawyer and politician, survived the nazi concentration camps and committed her life to reconciliation and women’s rights. She was the first woman minister in the 5th Republic, the first woman President of the European Parliament and the first woman President of the Foundation for the Memory of the Shoah. Leadership with passion and grit: Simone Veil overruled current expectations and norms when she told her husband she would have a career and she faced harsh criticism and insults as Minister of Health for pushing forward the law legalizing abortion in France on Jan 17, 1975. Her commitments never faltered despite adversity. She described herself as a rebel and continues to inspire generations of individuals to take on commitments bigger than themselves: true acts of leadership.